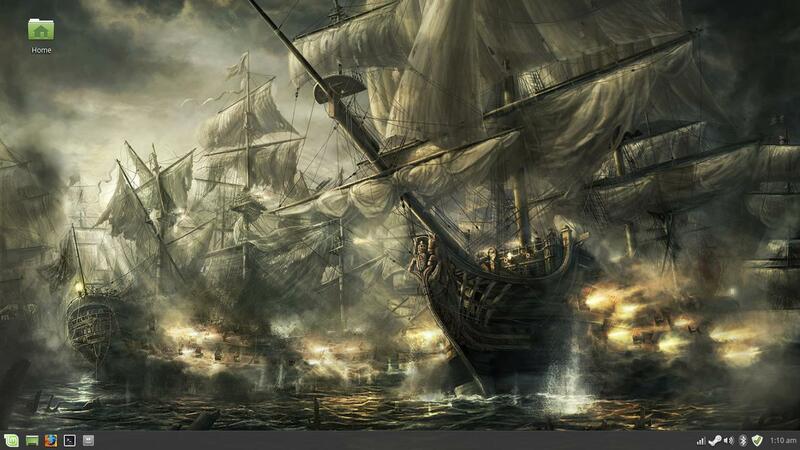 I use this cool-looking sea battle background I found a few years ago online. Rich artwork, combined with the Mint-Y theme and icons, offers a modern looking desktop. I customized the superkey logo to my own company's logo, but temporarily removed it for this screenshot. Last edited by jameskga on Sat Jul 08, 2017 5:02 am, edited 1 time in total. This is "HMS Royal George" by Rado Javor.